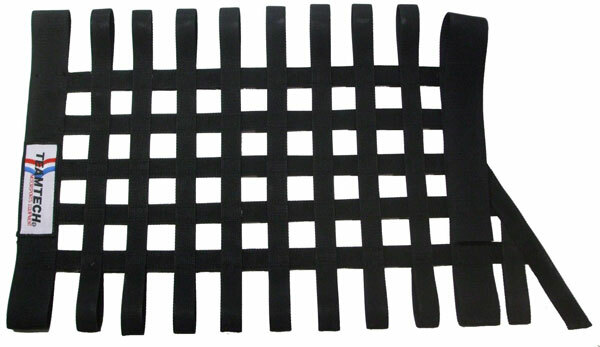 These window nets are made with a special honeycomb mesh made of polyester tire cord. These nets far exceed the SFI impact standards without disrupting the driver’s vision. Racers also have the option of painting logos or names on the net. Racers have reported that by using these mesh screens on nose pieces that debris just bounces off, leading to less cleaning and reduced pit turnaround times. These Cup Series window nets are approved for NASCAR and can be installed easily to existing mounting kits. TeamTech is a leading manufacturer of custom roof and window nets. 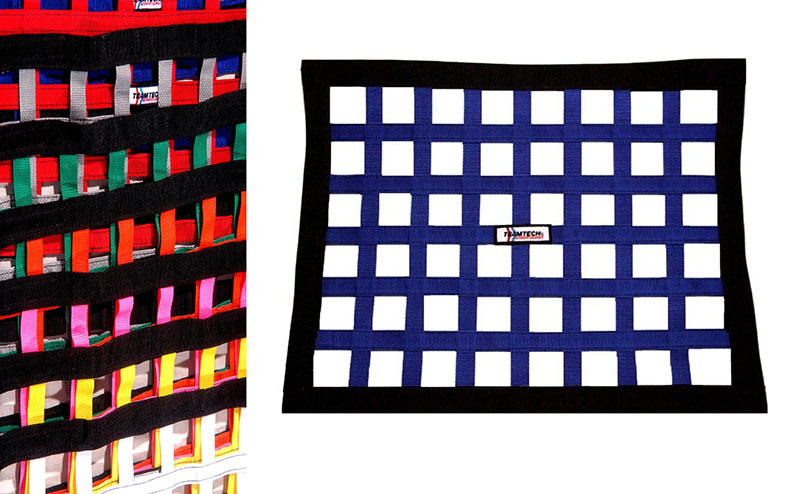 We make hundreds of custom sizes, shapes, curved, and color window nets each year. If the standard net doesn’t fit, let us custom fabricate one to fit your needs. We also manufacture roof nets to help keep your hands, arms, and heads safely inside the roll cage. We are here to help you make the best choices in safety equipment for your hard earned racing dollar. TEAMTECH products will keep you on the winning edge.